Welcome to Thursday by the Thames, where we will look at one of the stranger Hot Wheels models of the past. 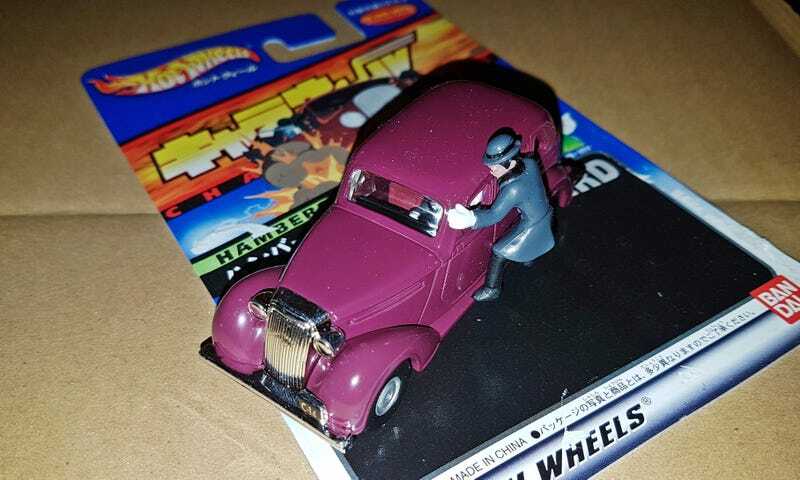 It certainly seems a very odd choice of car for Hot Wheels, as Humber were the most staid of British cars. The Super Snipe was introduced in October 1938, derived by combining the four-litre inline six-cylinder engine from the larger Humber Pullman with the chassis and body of the Humber Snipe, normally powered by a three-litre engine. The result was a car of enhanced performance and a top speed of 79 mph (127 km/h) —fast for its day. The Super Snipe was marketed to upper-middle-class managers, professional people and government officials. It was relatively low-priced for its large size and performance, and was similar to American cars in appearance and concept, and in providing value for money. But of course, 1938 was a very bad year to launch a car, as by 1939, everything changed. And most so of the pre-War Super Snipes ended up with the Military. None of this explains Hot Wheels making one. For that, we need to fast forward to the Year 2001. In that year, Hot Wheels and Bandai teamed up in Japan to launch the “Charawheels” line-up of model cars. The name is a combination of the words “Character” and “Wheels” - as the models were based on movies and television shows that were popular in Japan at that time. Some of these models will be familiar to us gaijin as well, such as Kinght Rider, the DeLoran from “Back to the Future” or the “Speedracer”. Others, such as thin, much less so. This Humber comes from an Anime movie called “Lupin the Third: The Castle of Cagliostro”. And it is part of a Triple Set of cars from that movie, the other two being French and Italian and will feature here in the upcoming days. The other two are better, so long as you like small European cars!